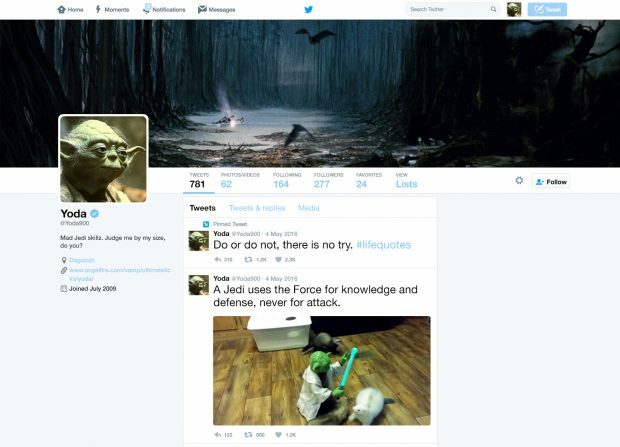 We all know Star Wars took place a long time ago—before social media was invented. But what if online communication tools were as simple a concept to the creatures of that galaxy as hyperspace travel? 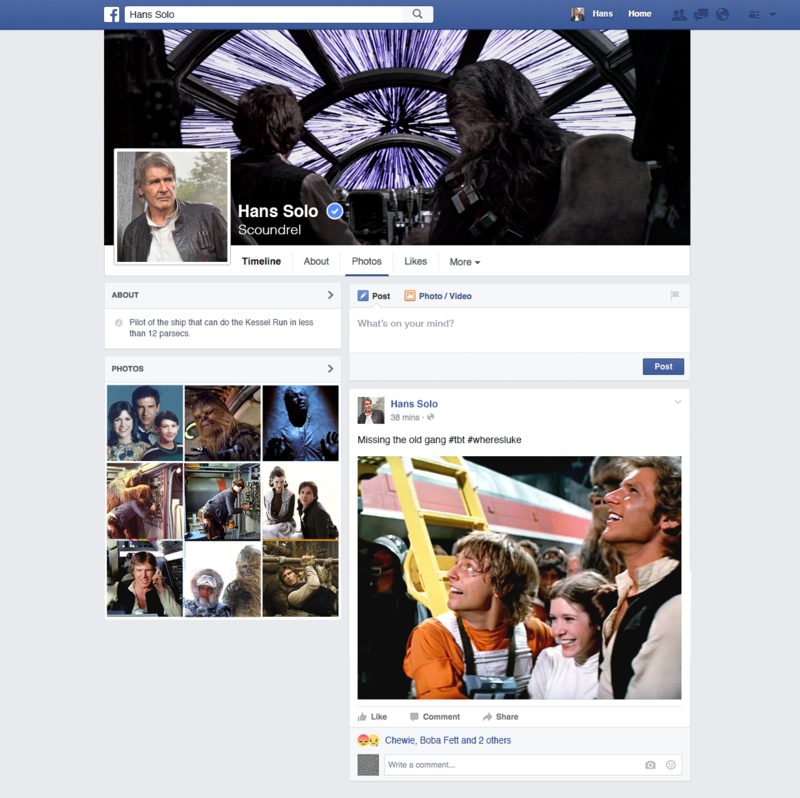 Han Solo is the old but useful scoundrel that everybody loves. So naturally he’d gravitate toward the old social network that everybody still uses. Plus Facebook is the perfect platform for him to keep tabs on his long-lost friend, estranged wife, and disowned son. Chewie’s been around since the Clone Wars and his flowing locks haven’t greyed at all. He obviously colors. 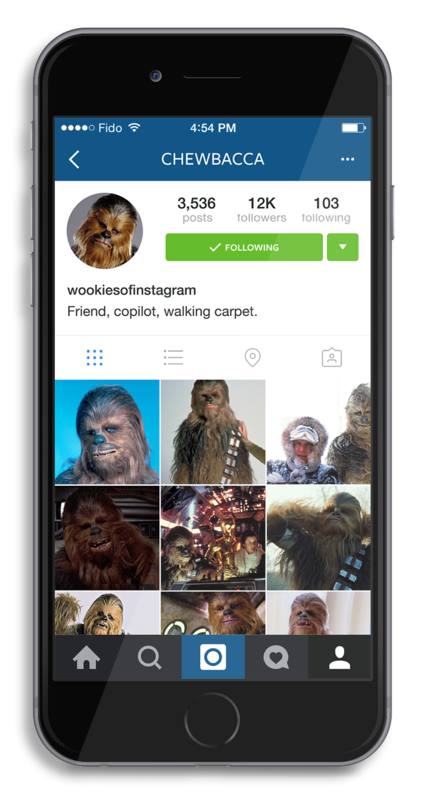 And because fuzzy things always get a lot of love on Instagram, it makes sense for the vain Wookie to take his shameless selfies to the internet’s favorite photo-sharing platform. Yoda’s pithy bits of wisdom and backwards syntax are a perfect fit for Twitter. He’s all about sharing #lifegoals—in 140 characters or less. 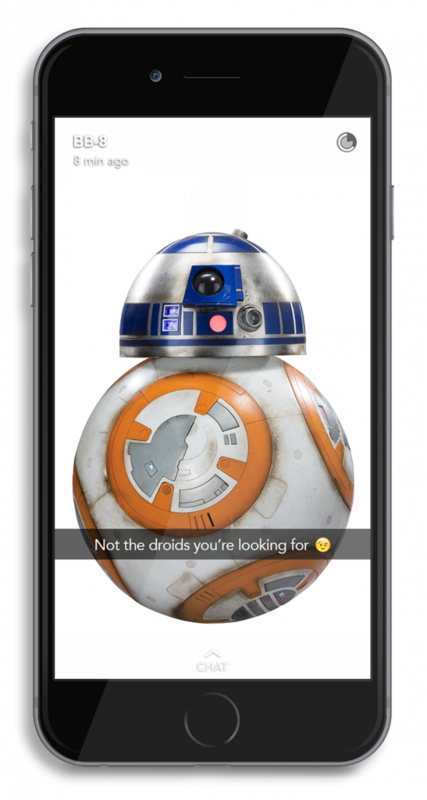 BB-8’s the peppy new character on the scene, so he’d be all about the hottest social network, where cheeky communiqués like face-swaps, emoji, and fun reign supreme. His Snappy ‘Best Friends’? Poe, Rey, and Finn of course. May the Fourth be with you (today and always).